It was no surprise to Myrna Harmon when her husband accepted the request from Grand Master Arthur E. Johnson to serve as Grand Marshal. "My husband has been a man of commitment and forsaking the winters in Florida for the cold of New England is no problem." While there are several miles between the Grand Master's home in Hingham and Lou Harmon's home in Plainville. plans have already been mapped for meeting places. They met when both were active in the Grotto. The Grand Master was Grand Monarch in 1985 and Lou Harmon is a Grand Trustee of the Supreme Council. A veteran of the U.S. Air Force (their son Ray is a Master Sergeant of the Air Force) and graduate of Johnson and Wales College with a Associate Degree in Science Management, Lou retired in 1988 after 38 years at the Northrup Corp. of Norwood. Forty-three years of marriage with Myrna have resulted in three sons and three daughters and six grandchildren. They have both served on the Advisory Board of North Attleboro Rainbow Assembly. Myrna was Mother Advisor for five years and is a member of Anglestone Chapter No. 118, Eastern Star. "She spent most of our married life raising six children and supporting my many Masonic endeavors." Daughters Sandra, Lori and Kristen have all been Worthy Advisors of Rainbow and son Mark is a Past Master Counselor of Avan Chapter, Attleboro, Order of DeMolay. Gary is their second son. Raised in Bristol Lodge, North Attleboro, where he was Worshipful Master in 1974 and Secretary since 1976 (except for five years), Lou was the District Deputy Grand Master of the Attleboro 28th Masonic District 1984-85. He is a member of Rabboni Royal Arch Chapter of North Attleboro and Attleboro Council, Royal and Select Masters. He is a member of Bristol Commandery No. 29, Attleboro, Palestine Temple, Shrine, of Cranston, R.I., and Scottish Rite Bodies, Valley of Boston. 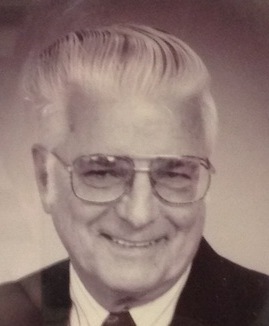 He was the founder and chairman of the Attleboro 28th Masonic District Scholarship Fund. Active in the Grotto since 1977 and the Plainville United Methodist Church, he is a disabled veteran but with a lot of gusto and the President of the Board of Directors of Orange Blossom Ranch, their Zephyr Hills, Florida condominium where he might have been hitting golf balls in January rather than shoveling a record-breaking snowy winter in Plainville. But such was the choice of a committed man and his faithful wife. Louis A. Harmon passed away on April 12, 2018 at the Tampa Veteran's Hospital after a brief period of failing health. He was surrounded by the love of his family when he passed. 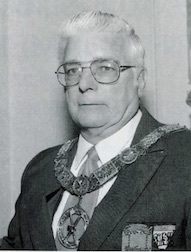 He was very active in the Fraternal Order of Masons, was a member and held the top office in many of the following organizations: Bristol Lodge A.F. & A.M. - Past Master & Past Secretary, The Masters Lodge A.F. & A.M., Wellesley Lodge A.F. & A.M., Mount Holyoke Lodge A.F. & A.M., 17th Lodge of Instruction - Past Master, District Deputy Grand Master of Attleboro 28th Masonic District, Grand Marshal of Grand Lodge of Massachusetts and Senior Grand Warden of Grand Lodge of Massachusetts; Ancient Accepted Scottish Rite Bodies - Valley of Boston: Boston Lafayette Lodge of Perfection, Giles F. Yates Council, Princes of Jerusalem, Mount Olivet Chapter, Rose Croix, and Massachusetts Consistory, S.P.R.S. ; York Rite: Rabboni Royal Arch Chapter, Attleboro Council R. & S.M.M., Bristol Commandery No. 29 K.T. and St. Bernard Commandery No. 12 K.T. - Guard; Societas Rosicruciana in Civitatibus Forederatis; Shrine - Aleppo Temple, A.A.O.N.M.S. - Adjutant; Grotto: Nava Grotto M.O.V.P.E.R. - Past Monarch, Taleb Grotto M.O.V.P.E.R. - Trustee, New England Grotto Association - Past President and Supreme Council M.O.V.P.E.R. - Grand Trustee; South Eastern Massachusetts Past Masters Association; Order of Eastern Star - Anglestone Chapter #118 and Demolay - Sir Galahad Chapter - Chaplain. This page was last modified on 5 June 2018, at 13:38.